Ballet Rincon is proud to offer three distinct professional programs within our Summer Intensive to provide flexibility to fit every dancer’s training level and schedule. Summer Intensives are essential in advancing the dancer’s training skills in a short amount of time, creating a physical and mental focus not easily attained during the school year. Participation is especially recommended for students’ progressive training and for dancers interested in diversifying their training repertory and skill. This young children’s program features BR’s comprehensive Pre & Primary Ballet instruction intertwined with cherished classical ballet stories. Using the structure of the classical ballet class combined with the fantasy of fairy tales, basic ballet steps and French ballet terms are developed naturally within the young dancer’s vocabulary. In addition, this workshop includes fairy tale story time and pantomime, creative choreography and craft projects. 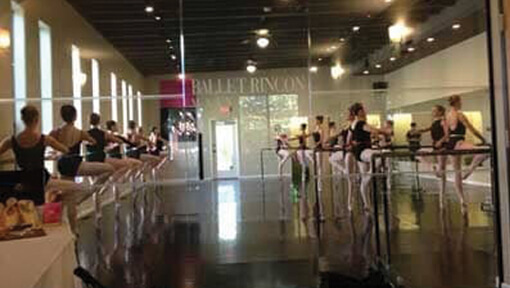 The Ballet Rincon Summer Mini Intensive Evening Sessions are a wonderful alternative training opportunity for dancers unable to participate in the full BR Summer Intensive. Offering the flexibility of a one-, two-, or three-week session, the Evening Sessions can fit the class needs for each individual’s training style and technical level. Daniel Marshalsay received his training at The School of Alberta Ballet under the acclaimed direction of Murray and Nancy Kilgour. He started his dance career at age 18 with Alberta Ballet and has danced across Canada, United States and internationally. In his 13 years as a professional dancer Daniel has had the honor to work with many influential artists and choreographers who have helped shape and develop his movement style to what it is today. Since returning to Arizona after dancing most recently with world renowned contemporary company Ballet BC, Daniel has been teaching, coaching, and choreographing with some of the premier dance schools in Arizona. Daniel’s choreographic career includes original creations on companies in both Canada and the United States, including Big Muddy Dance company in St. Louis, Convergence Ballet of Phoenix and Ballet BC in Canada. Daniel always looks forward to working with new students and bringing his unique contemporary vision of ballet to their development as artists. Susan Quinn (Williams) is an internationally recognized and sought after master teacher and choreographer of Jazz and Contemporary Dance. She is a former Associate Artistic Director and Principal Dancer with his Gus Giordano Jazz Dance Chicago and an Associate Professor of Dance the University of Arizona’s School of Dance. Her students are successful studio owners; founder/directors of their own companies; and performers dancing with Cirque de Soleil, on Broadway (Wicked, Hamilton, Fiddler on the Roof, Bring It On, Anastasia) and in Las Vegas shows (The Donny and Marie Show, Celine Dion’s A New Day, Shania Twain’s Still The One), on television and film (Teen Beach Movie, So You Think You Can Dance), in music videos (Michael Jackson, Janet Jackson, Paula Abdul, et al. ), and with dance companies such as River North Chicago Dance Company, Giordano Jazz Dance Chicago and Hubbard Street Dance Chicago. Among her most accomplished students are Michael Williams, jazz faculty at The University of Arizona School of Dance; Sam Watson, faculty at The University of Arizona School of Dance; Jimmy Locust, former backup dancer for Janet Jackson’s Rhythm Nation and current Owner/Director of Locust Performing Arts Center in Stamford, CT; and Nan Giordano, master teacher and daughter of the late jazz dance legend Gus Giordano. All four have gone on to become esteemed dance educators. Susan was honored to receive the 2005 Jazz Dance World Congress award for her contributions to Jazz Dance. She was invited to join the esteemed faculty of the 2012 Jazz Dance World Congress, held at Point Park College in Pittsburgh, PA. She travels every summer with a small group of disciples who teach the renowned Gus Giordano jazz dance technique, collaborating with Gus Giordano’s daughter, Director Amy Giordano at the Gus Giordano Dance School in Chicago, Il. Pablo Rodarte is among the few American-born artists who can claim notoriety and respect in a culture not of his birth. Trained in his youth in the disciplines of tap dance, classical ballet, and jazz, Mr. Rodarte at the age of 19 embarked on a career which would afford him artistic recognition throughout Europe, the Middle and Far East, Australia and ﬁnally the United States. For 24 years of his life Spain was a home, an institute of learning and a stage on which he excelled as an exponent of the Spanish dance. Because of his mastery of classical ballet and jazz, Spanish television, ﬁlm and theater were quick to take advantage of his talent providing Mr. Rodarte a wide range of experience for his development as a performer and visual artist. Mr. Rodarte studied under the great masters including; Antonio Marín, Mercedes León y Albano Zuñiga, Victoria Eugenia, Alberto Lorca, Jose Granero, Tomás de Madrid, Maria Rosa Mercéd, Pedro Azorín, Ciro and ﬁnally Angel Torres. Schooled in the three disciplines of Spanish dance (regional, ﬂamenco, and bolero school) Rodarte danced with the companies of Rafael de Cordoba, Alberto Lorca, Maria Rosa, Antonio Gades, Raul, Pacita Tomas, Alberto Portillo, Carmen Cubillo, Jose Molina, Jose Greco, Susana Di Palma, Carlota Santana , and Maria Benitez. His work in the USA includes founding the company Amanecer Teatro Flamenco in Denver, Colorado, ten years as an adjunct professor at the University of New Mexico and Artistic Director of Dance España based in Albuquerque. Mr. Rodarte now resides in Tucson, Arizona where he devotes himself to passing his knowledge on to others through teaching and making art. 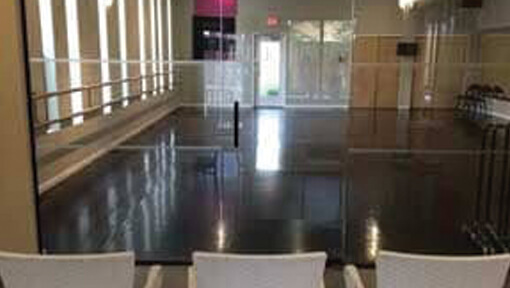 To ensure your place in our Summer Intensive program and to provide the most concentrated summer study experience for the students, class size is strictly limited. To reserve your place in the Intensive, please deliver or mail your $10.00 registration fee per dancer on or before April 27th or $25 per dancer (after April 27th), your 50% tuition deposit (balance due by May 25th) or your registration fee and full tuition payment to Ballet Rincon. Please refer to the Summer Intensive Dancer’s Packet for information on program content, scheduling, required dress code items and grooming for class and performance, class and rehearsal attendance, student conduct and student safety. All participants and a parent/guardian must read and sign the Dancer’s Packet Release Forms and return to Ballet Rincon by May 26th, 2018. Signed Dancer’s Packet Release Form required for participation in BR Summer Intensive. 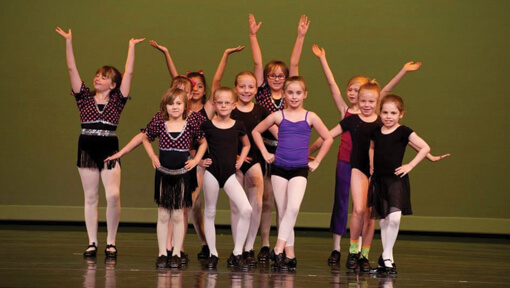 Our Summer Intensive Recital (Eligibility for full Intensive Students Levels 5-10 only) will be held on Friday, June 29th, at 6:30 pm, at the Vail Theatre of the Arts, on the campus of Empire High School. The mandatory rehearsal for this performance will be held on Friday, June 29th at 3:00 pm. The auditorium will open for seating at 6:00 pm. – General Admission recital tickets are $10.00 if pre-purchased during office hours the week of June 25th, and $12.00 if purchased at the door on June 29th.